Xiaomi is a Chinese company that has a reputation of being a market disruptor. Its Xiaomi Yi action camera had image quality that rivaled GoPro’s at a lower price. It created a lower-cost drone with advanced features that undercut DJI. It is creating a version of Google Jump at a lower cost. So when Xiaomi announced that it was entering VR, industry pundits were paying attention. 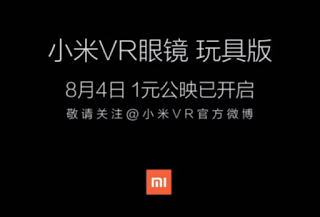 It appears that the new Xiaomi VR product is a mobile VR viewer, launching on August 4. Among other interesting characteristics, is its price: 1 yuan, or about 15 U.S. cents. I don’t know if that’s with the purchase of one of its phones, or the MSRP for a standalone viewer. In terms of capabilities, some sites have said it is Daydream-compatible. It is true that Xiaomi’s flagship phone, the Mi 5, has a Qualcomm Snapdragon 820 processor, used in the Daydream-compatible ZTE Axon 7. Conceivably, the Mi 5 might be Daydream-ready. However, I have doubts about the headset being Daydream-compatible for at least two reasons. First, Daydream-compatible VR headsets are active headsets (they have their own electronics, including a 9-axis IMU). They are reportedly to be sold close to $99. While Xiaomi is known for undercutting its competitors’ prices, it is unlikely that they can do so by a few orders of magnitude. Second, all Daydream-compatible headsets that I’ve seen so far have been similar to the Samsung Gear VR, with a touchpad and buttons on the right side. Here are examples from ZTE and Asus. 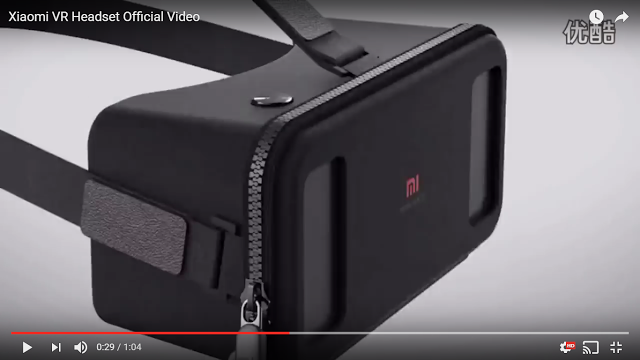 The Xiaomi VR headset shown in the official video does not have a touchpad on the right side. It does have one button on top, but that could simply be a Google Cardboard trigger button. I guess we’ll find out in a couple of days! Thank you very much to Mike Cane and David Grass for spotting the info!